Yeah, but: The last two hours of each disk are great. 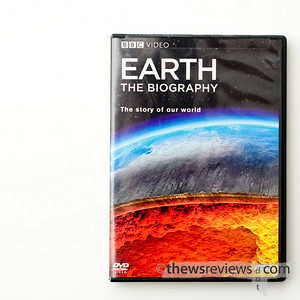 The Long Version: This is a series that's in the same class as the BBC's Planet Earth & The Blue Planet , but with a couple of differences. Instead of looking at ecosystems or geographic regions, Earth - The Biography divides its approach into forces of nature, such as ice and volcanoes. The other difference is that it's narrated by a Scotsman, Dr. Iain Stewart, instead of the much more aloof Sir David Attenborough. Indeed, Dr. Stewart is a character in the drama that he records, giving him more of a Michael Palin style to his storytelling. 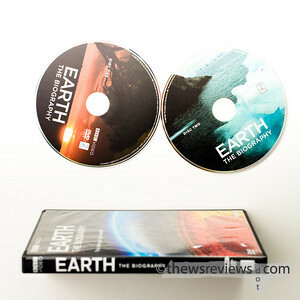 The cinematography is beautiful, the stories are compelling, and even as an owner of the Blue Planet Earth DVDs, there's information here that I hadn't heard or seen before. Sure, it took me a while to stop snickering at the host's recurring mentions of bubbling lava pools - the pronunciation seeming to drop the final 'L' - but the series is very well done. Add in the bold editorial indecision that gifted it with a subtitle and a secondary subsidiary subtitle, and there's not much not to like. Both DVD disks start with commercials for other DVDs, and they can't be skipped. For a rented movie, that would be annoying. For a DVD that I spent a not inconsiderable amount of money to purchase, specifically so that I can re-watch it at my leisure, it's completely unacceptable. I'm glad I've seen these episodes, but I wish I hadn't bought them. In fact, I wish I had taken the DVD back to the store and demanded a refund because I would argue that the disks are defective. It's rare that I say not to buy something, but in this case, don't.